Most of the customers are not confident about their purchase from the store. In order to boost their confidence levels while buying an item, Prestashop product sales count addon shows a product sold count on every product page of the website. Plays a crucial role in ensuring the product quality among the store customers. The product sold number helps to clear the buyer's dilemma by letting them know so many units have already been sold. Fake product sales count helps in increasing site sales by showing products as popular ones. 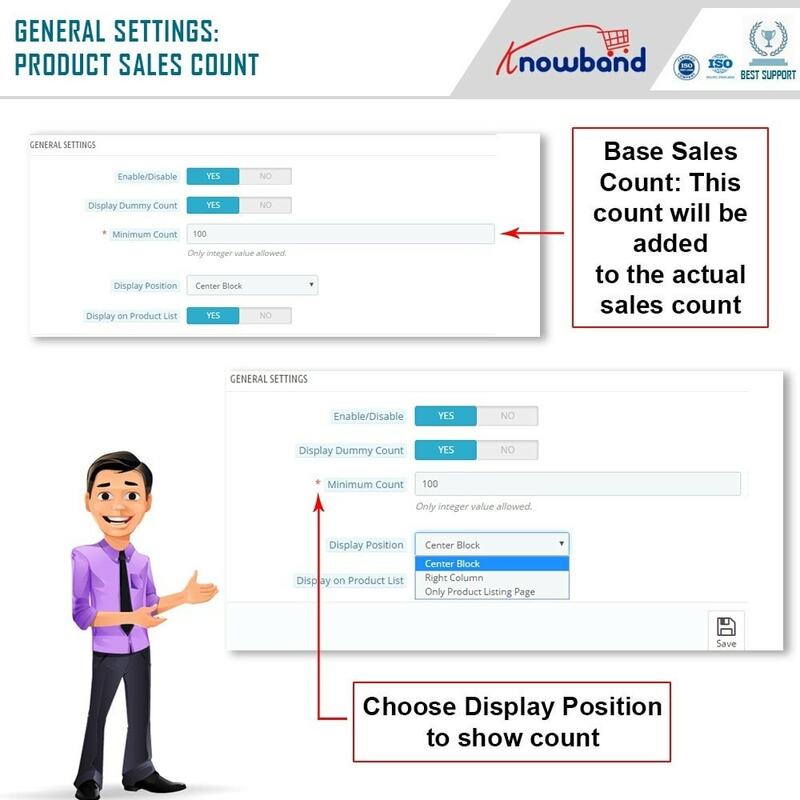 The product sales count module offers easy installation and configuration, hence no technical knowledge is required. Admin can show actual or increased numbers of sale count on product listing page. With Prestashop product sales count extensions, you can conveniently show/hide the sales count on product pages. 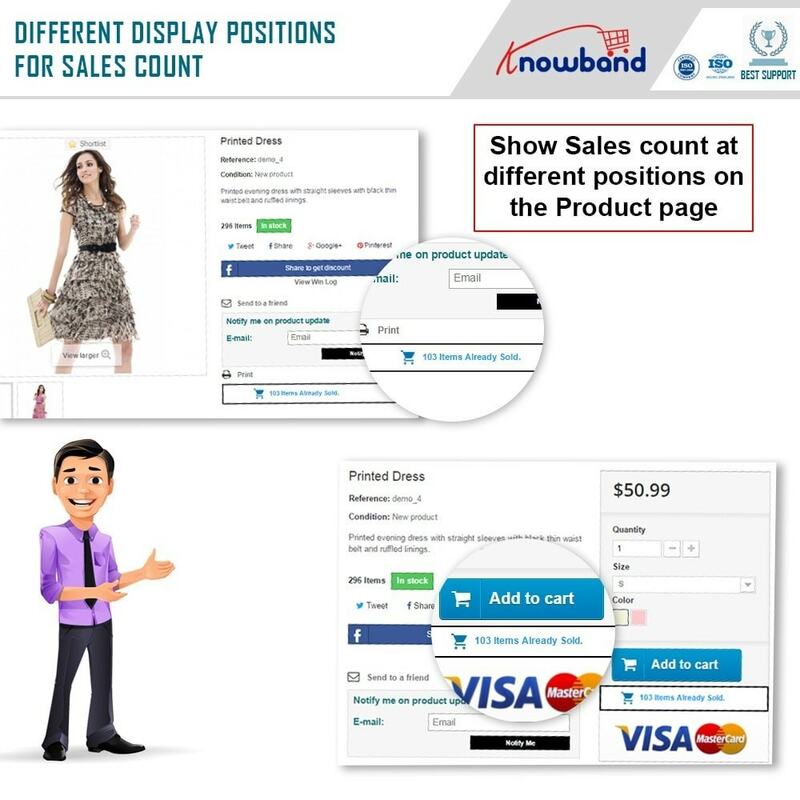 Product sold addon show/hide the sales count for every product listing on Homepage. The text color and background color can be changed as per site theme using a color picker tool at the backend. You can also add custom CSS and JS code from the backend of the module. 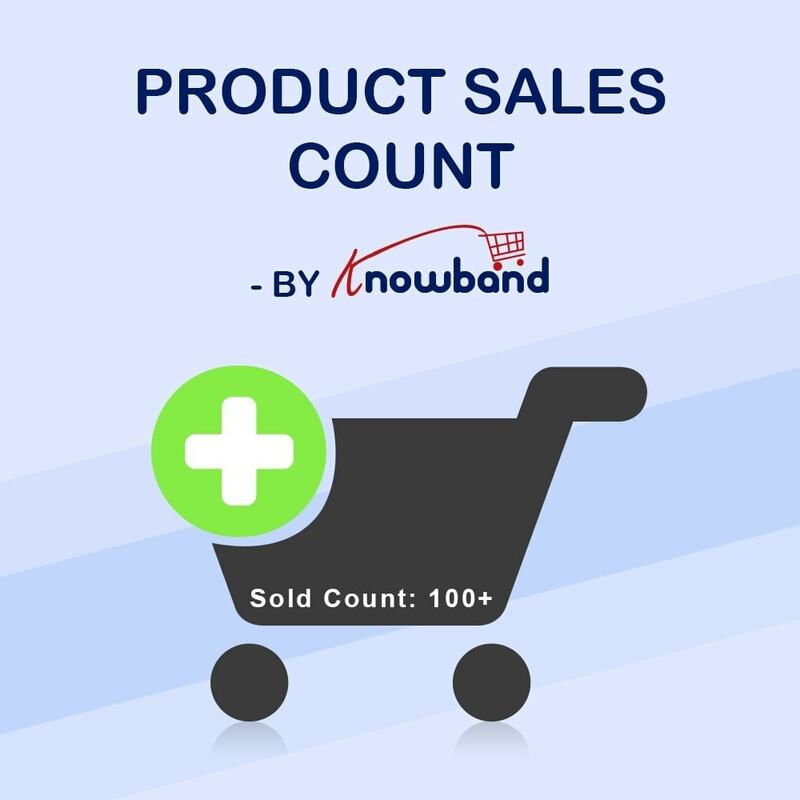 The Prestashop product sales count extension automatically calculates the sold count and displays for every product listing on the store. Prestashop product sales count addon features a responsive popup on every product page which shows product sales count for last one hour. A custom popup message will be displayed on the frontend. Admin can hide this sales count message popup after a certain time limit. The admin can even set the minimum and maximum sales quantity which will be displayed on the popup. 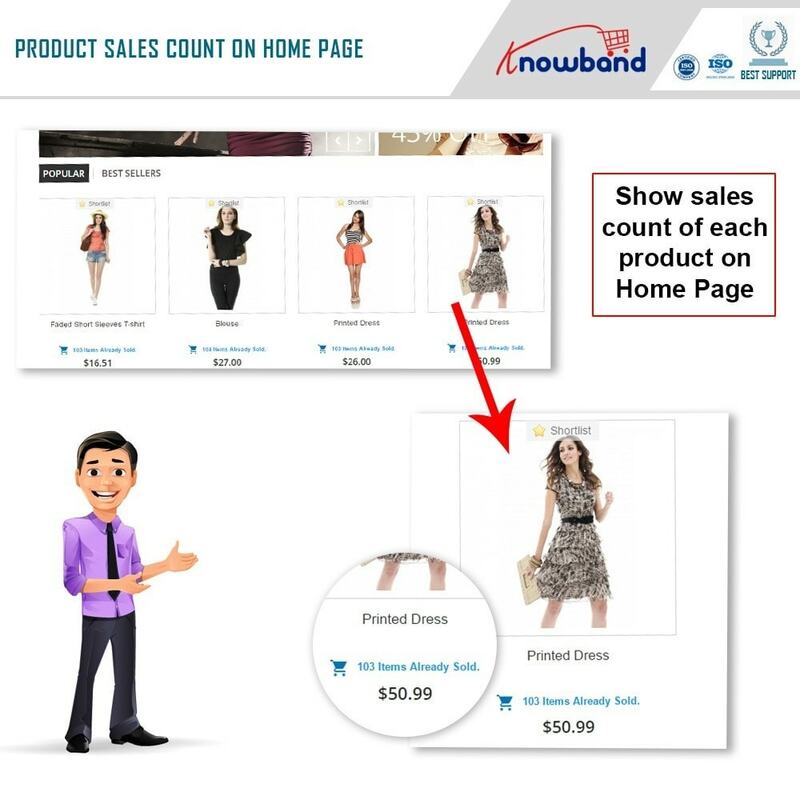 Flexibility to display product sales count for product listings on Homepage or on every product page. Prestashop Product number of sales module can be configured as per store needs without any base code modifications. Admin can make advanced customizations by adding custom CSS and JS code at the backend. Prestashop sales information module offers a custom option to show increased count or actual sales count for the products. Prestashop product sales count allows admin to set and display a dummy sales count which is shown to the user in place of actual sales number. Using Color picker tools, admin can modify the look and feel of product sales count popup on the frontend. They can easily change the text color and background color from the admin interface. The Prestashop sales information module supports SSL compatibility. The product number of sales module supports multi-store compatibility. 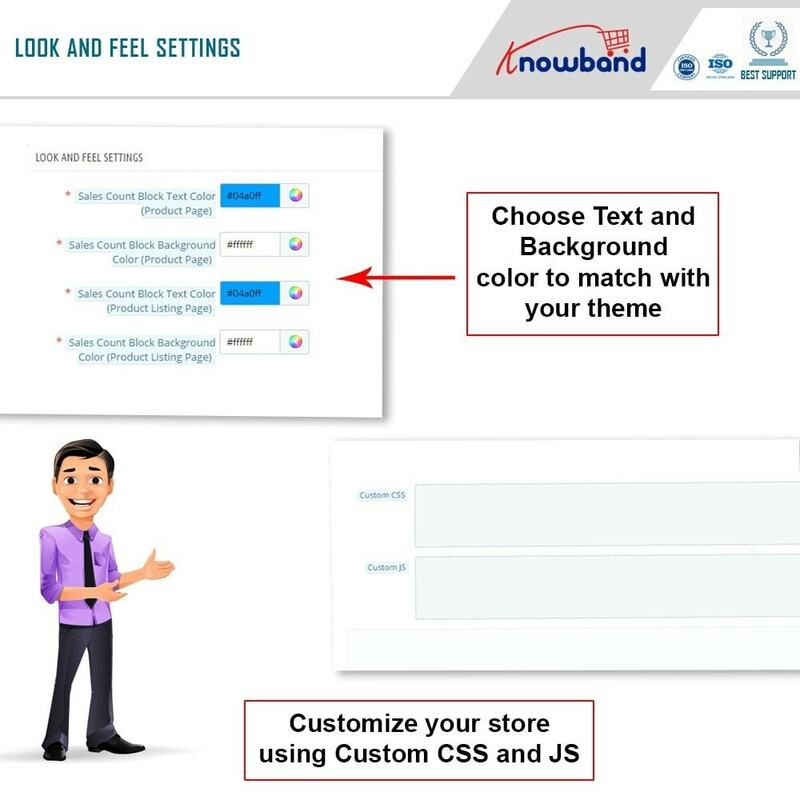 The product number of sales module is multi-store compatible. It helps customers to know about a product popularity. 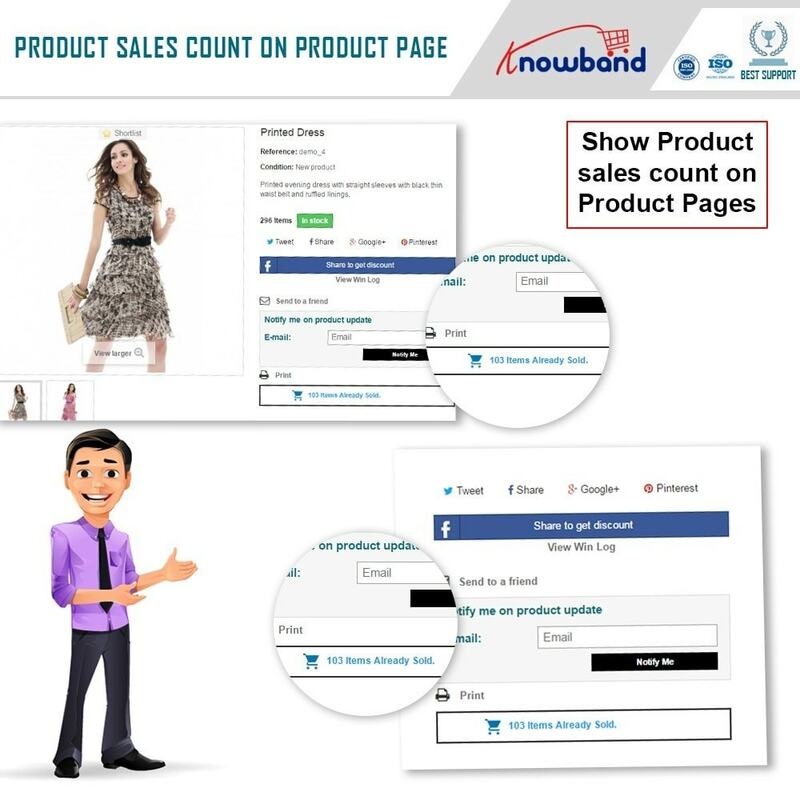 Lets you customers know how many customers have already used the product. [ADD] Popup on Product page to show product sales count for last 1 hour.